Reading is a universal and timeless pleasure. The celebration of books in Madrid dates back to more than 80 years ago. But what is the origin of the Book Fair? The origin of the Book Fair dates back to 1993, which makes the Madrid book fair the first in Spain. Barcelona copied the idea of a book fair, which celebrated the Day of the Book for about five years. In fact, it was such a large event that it caused the first Madrid book fair to pass relatively unnoticed, even though the celebrations differed from one another. Paseo de Recoletos was the point of origin of the Book Fair, where around 100 booksellers congregated and offered a 10% discount on each purchase. In addition, they installed a microphone in the Church of San Pascual for the guest writers to read their works. Their readings resonated in all the booths where a loudspeaker had been placed. But the beginning of the Book Fair doesn’t end here. The celebration continued during the following years with increasing enthusiasm from the public until 1936. The start of the Civil War stopped all activities and the Book Fair was put on hold until 1944 when it was resumed. After the period of absence, the Book Fair came back even stronger and with a national vocation away from the original local character. 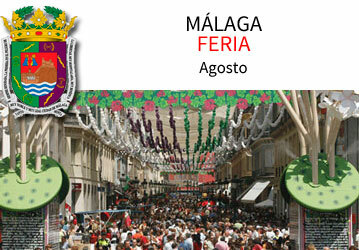 It was started again in the Paseo de Recoletos (which was then called Paseo Calvo Sotelo) and it became a traveling fair. Later versions of the Book Fair were held in different places in Spain, such as Barcelona and Sevilla, but the traveling fair was eventually abandoned when those cities began to celebrate at their own fairs. The Book Fair as we know it today began in 1966, when it was installed in Retiro Park (at its current location). It moved only once in 1979 to the nearby Crystal Palace, located within the same park, but it was a failure there. 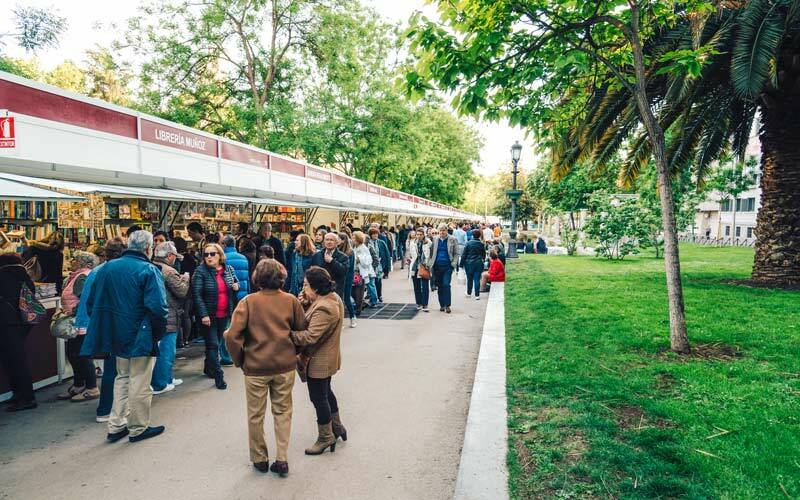 So, one year later — and we hope there will be many more — the Book Fair was moved back to its original location on the Paseo de Coches at Retiro. There it waits for you to come discover all the books and enjoy some good literature. When did the Day of the Book begin? To know the origin of the Day of the Book, it must be traced back to the beginning of the twentieth century, a different beginning than the origin of the Book Fair. We owe the celebration of the book to Vicente Clavel and his initiative that he presented to the Barcelona Book Chamber in 1923. In addition to being the Vice President of this institution, Clavel was a Valencian writer and journalist who had a passion for Cervantes ‘ literature. He defended universal access to culture through literature. His idea was to dedicate one day to his greatest hobby, so that he could promote reading and culture among all the social classes. On February 6, 1926, King Alfonso XIII signed the Royal Decree of the Day of the Book. Today we know that the drafting of the decree was the work of Vicente Clavel, because of his remarks to a journalist in 1967. The decree included the celebration of the Day of the Book, the establishment and expansion of libraries throughout Spain and the importance of promoting reading across the entire population. At first they chose October 7th as the date of celebration. But soon there was controversy about whether it would be better to commemorate the alleged date of birth of Cervantes (October 7) or that of his death (the 23rd of April, as documented). Finally, it was agreed to celebrate the Day of the Book on April 23rd each year.